Of all the places in the world, filmmaker Kevin Kossowan is at home both in his backyard garden and in the middle of nowhere. Whether it’s tending to rows of leafy greens and root vegetables or plunked down around a crackling fire in the heart of a boreal forest with friends waiting for a slab of black bear meat to finish roasting, Kossowan is on a mission to show us all just how much the Alberta landscape can offer a person when it comes to dinner. In the past, this Top 40 Under 40 alumnus has helped to grow the city’s micro-farming sector. 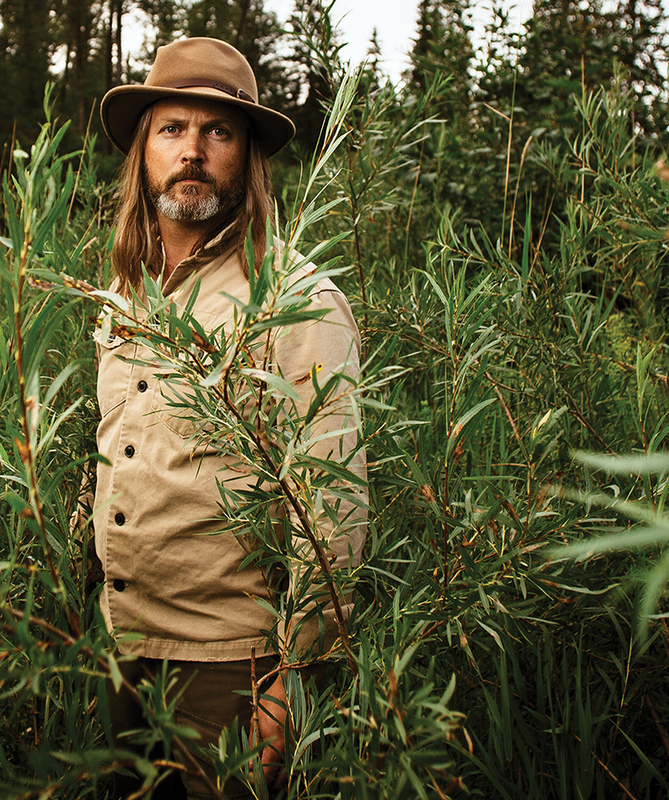 These days he’s producing a visually stunning series, From The Wild, that focuses on celebrating Canadian terroir with an emphasis on his home province of Alberta. But, 10 years ago, Kossowan wasn’t wearing outdoor gear. He was in a suit and tie working as a financial planner. Not feeling fully satisfied with this career, he started looking for alternatives, using his combined passion of gardening, interest in urban agriculture and penchant for filmmaking as a jumping off point. It was 2013 when Kossowan finally hung up his nine-to-five attire for good. He says he was surprised by the amount of work that was available for filmwork in the culinary industry. Kossowan says this is largely due to platforms such as Facebook, Instagram, Netflix and Vimeo-on-Demand – where From The Wild airs exclusively. (Viewership numbers were not available). Through his production company, Story Chaser, Kossowan has had the opportunity to work with a long list of tourism and agricultural marketing boards in all types of locations across Canada and beyond, including a recent trip to Hawaii. Kossowan worked with the owners of popular Edmonton restaurant, Sabor, on a collaboration with Maui-based chefs Lyndon Honda and Tom Muromoto. He took the two visiting chefs for a mushroom foraging expedition in the river valley, finding one variety that Muromoto compared to coral. In 2019, he will trek over to Ireland, producing a documentary for Food On The Edge, an international food symposium celebrating its fifth anniversary. The pictured items were selected by an expert forager. Do not use this as a guide to what is safe to eat. His past work has been screened at the Edmonton International Film Festival as well as Devour! The Food Film Fest, an annual culinary festival in Wolfville, Nova Scotia and the largest of its kind in the world. Still, it’s his labour of love, the intimate web series From The Wild, that invigorates Kossowan and inspires him to continue discovering what the culinary world has to offer. Kossowan’s series involves a group of individuals taking an in-depth look at different geographical areas of Canada – typically within Alberta, but occasionally beyond. 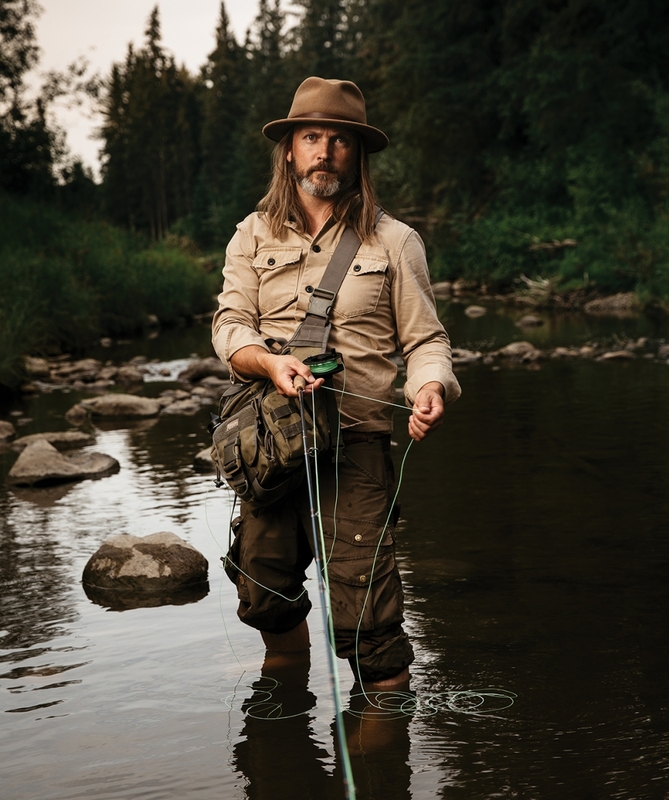 In each of his outdoor expeditions, which last approximately four days in the field, he will include a variety of industry professionals as well as family members and friends. Consider it a camping trip like no other, as individuals with all different viewpoints and experiences with food culminate together in an unfamiliar region for a common cause; to hunt, gather, cook and eat. 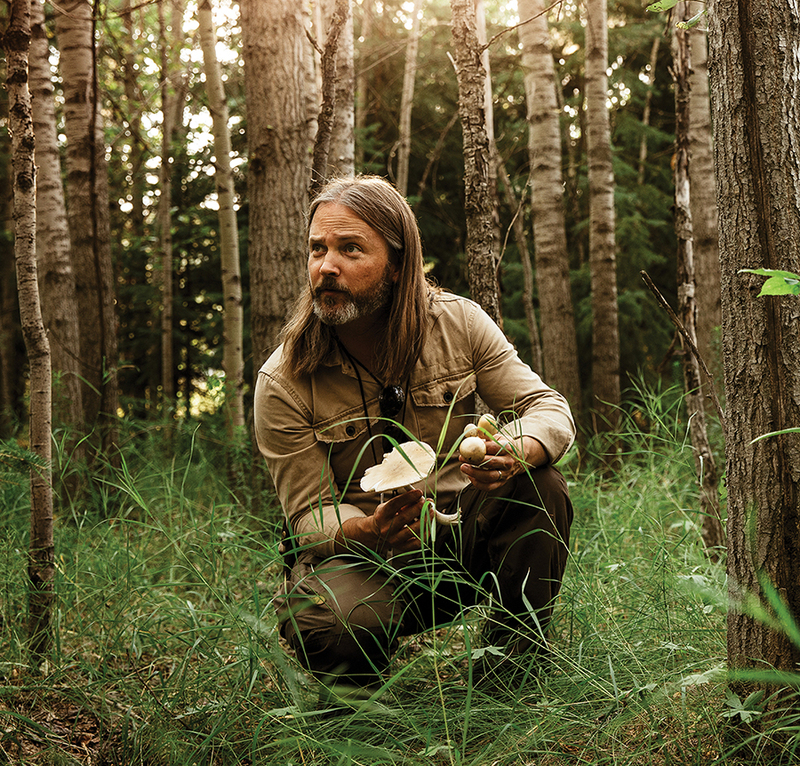 The types of wild game, fish and foraged ingredients that Kossowan and his expedition members find on their treks are always strikingly diverse. 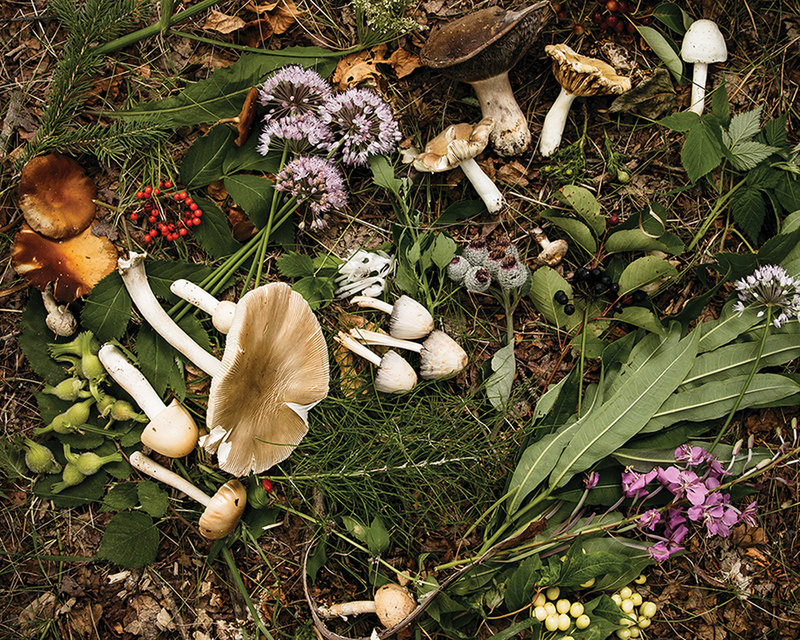 Black bear, moose, whitetail deer, varieties of duck and geese as well as lake trout are some examples of common game, while foraged items like sea buckthorn berries, elderflower and a myriad of wild mushrooms are happily discovered along the way. Kelowna chef Aman Dosanj runs a series of Indian-inspired pop-up dinners in the Okanagan and was asked to partake in an episode of the fourth season of From The Wild last fall. On this particular adventure, Dosanj ventured into a boreal forest area about two hours outside of Edmonton. Here, she was guided by Kossowan and taught to hunt and forage. The four-day excursion yielded three black bears, one doe and a duck, all of which Dosanj helped prepare over a smouldering fire. Earlier this year, Kossowan was floored when he was notified that the third season of his web series had been nominated for a James Beard Media Award. Known to be American-centric, these awards – often dubbed the “Oscars” of the food world – are technically open to media in Canada in terms of nominations, but rarely has a Canadian been shortlisted for an award. From The Wild sat in the category of Video Webcast, On Location alongside a group of American heavyweights: The First We Feast YouTube channel and Bon Apptit‘s Working 24 Hours at… which sees roving food editor, Andrew Knowlton, thrust into long shifts at iconic American eateries. Needless to say, these nominees were as different as could be. Attending the awards ceremony in New York at the end of April, Kossowan did not take home the top spot, but relished in his nomination, a first for a Canadian web series, while surrounded by some of his biggest supporters; his wife, Pam and Knifewear owner Kevin Kent and abattoir owner, Jeff Senger. Now working on the production of season five of From The Wild, the filmmaker is as busy as ever. Throughout the year, he says the production of the series commands about eight days of the month, with film contracts pulling him here and there the rest of the time. Looking back six or so years ago to when Kossowan was spending the majority of his time running a micro-farming business and passionately maintaining his own agriculture set-up in his backyard, it’s hard not to wonder if his garden isn’t as lush today as it once was given how high-in-demand the filmmaker is these days.